One in four Americans has unhealthy anxiety--that's over 73 million people. What have we turned to? Pills. Have they helped? The numbers say no. 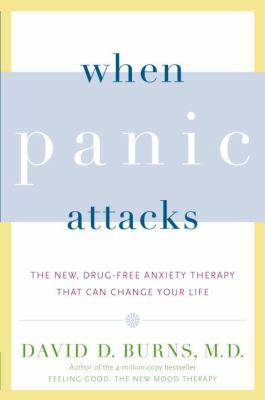 David Burns, M.D., knows what nobody else does: traditional therapy and drugs don't cure anxiety. But revolutionary new cognitive behavior therapies do, and Burns has developed clinically proven techniques. The road to a cure begins with discovering the stories we tell ourselves that make us worry--"If I'm late for the meeting I'll be fired and never find another job"; "
The good news is that the techniques in his Anxiety Toolkit take 60 seconds to work. This is an indispensable guide for anyone who's spent sleepless nights imagining a workplace disaster, dreading a plane trip or public speaking engagement, or fretting about the safety of a loved one.